American Kitchen Faucet w/ Straight Spout and Cross Point Handles. 6 inch height, 2 1/4-inch base diameter, 8 inch centers. 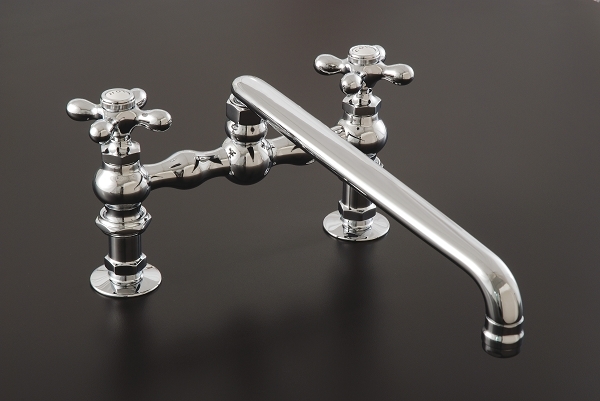 Available in choice of Chrome, Polished Nickel, or Matte Nickel finish.